The AirHORN feature aids in testing WiFi antennas, RF shields and wireless networks. It is an RF channel / signal generator that covers both the 2.4x and 5.x GHz ISM bands and was designed for microwave and RF applications. Using 802.11 packet injection, AirHORN transmits stable and accurate RF signals for each of the 802.11 (Wi-Fi) channels and is ideal for stress-testing existing wireless networks and for use in research and development of antenna design. A signal generation system is key to any test system – as such, AirHORN can also be used for rapid evaluation of receiver performance and detecting"dead spots". 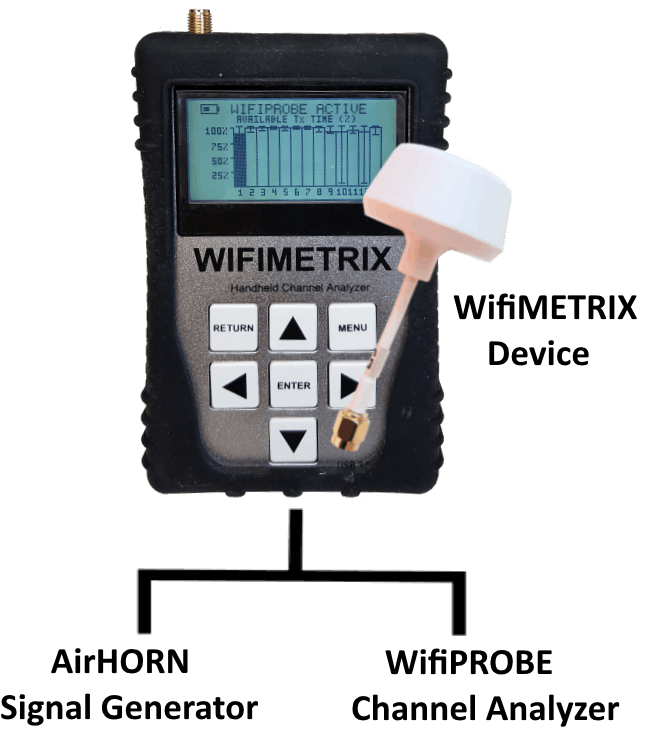 The WifiPROBE function traverses each channel and measures the available transmit time. When the goal is to choose the best channel -- the one with the highest available throughput -- thenWifiPROBE is the tool of choice.